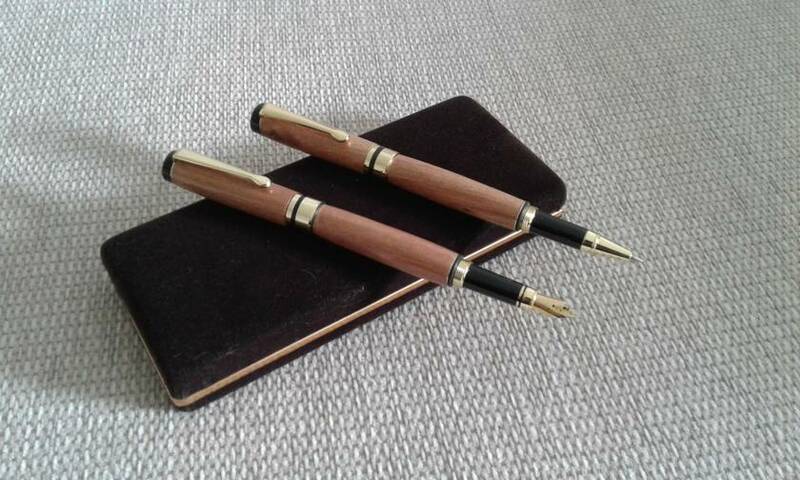 Unique hand turned Classic Fountain Pen and Rollerball set in NZ Kanuka with gold plated fittings. Each pen is crafted with the utmost attention to detail and finished to perfection. Expected delivery time is approximately one week from date of purchase. 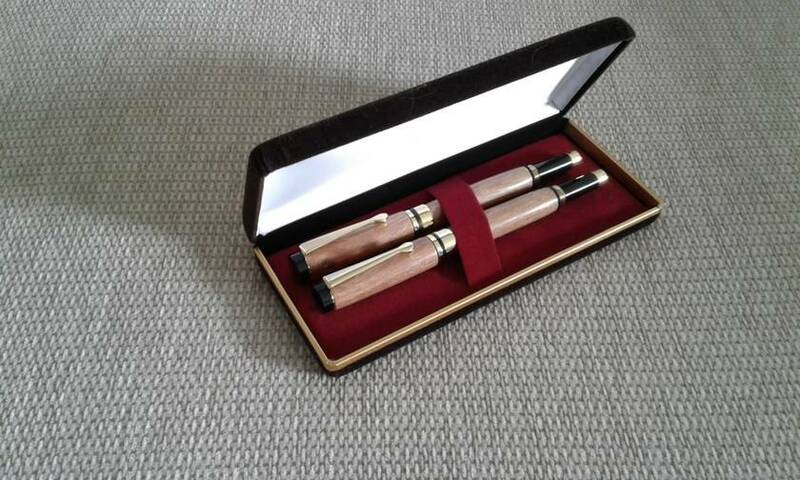 The pen comes with a Satin lined Velvatine presentation case, making a perfect gift. Kanuka, is a hard, heavy and finely textured timber. Colour varies from light to deep pink often with near black streaks. Note that each piece of wood is unique and may differ from the pictures shown.